"Too often we underestimate how quickly our feelings are going to change because we underestimate our ability to change them." We cannot eliminate stress from our lives completly. However the good news is that we can learn to deal with it and not react to it so much. We can prevent it from causing damage to our bodies. We are not always aware of how much our feelings effect our bodies, how they drain energy, cloud our thoughts and confuse our relationships. We often notice getting tense, getting an upset stomach, the heart beating faster, sweating and many other symptoms, without understanding the underlying feelings causing these. The HeartMath system offers scientifically-based and highly effective solutions for reducing stress, anxiety, depression and sleeplessness, and increasing performance. When we experience stress our bodies start producing cortisol, also called stresshormone, which rises our blood pressure, weakens our cells sensitivity to insulin , suppresses our immune system and causes a lot of other health issues. We are also experiencing a lot of mental challenges when we are stressed. We are able to think less clearly, become less efficient in decision-making and our ability to communicate clearly gets compromised. We are often told that we have to "Think Positively". However there is a huge difference between thinking positively and feeling positively. We can choose. Would you like to experience the difference? 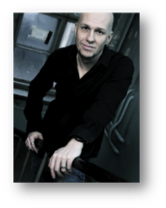 Price for individual 1:1 Coaching 5 + 1, 75 min sessions, inclusive of emWave 2 and workbook 1026 €. 75 min session excluding work book and emWave 2 105 €. "I am impressed by how these simple and easy to do exercises can lift your mood and make you feel less stressed so quickly. After doing the exercises I have also managed to view problems in life with greater calmness and to react to them in a more constructive manner. 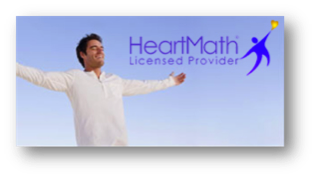 I warmly recommend HeartMath!" 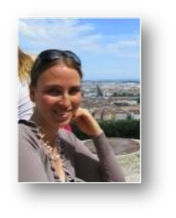 "After starting HeartMath exercises I have been sleeping better and noticed that I am a much calmer during stressfull situations, than before"